Welcome to the September 2017 edition of my newsletter! 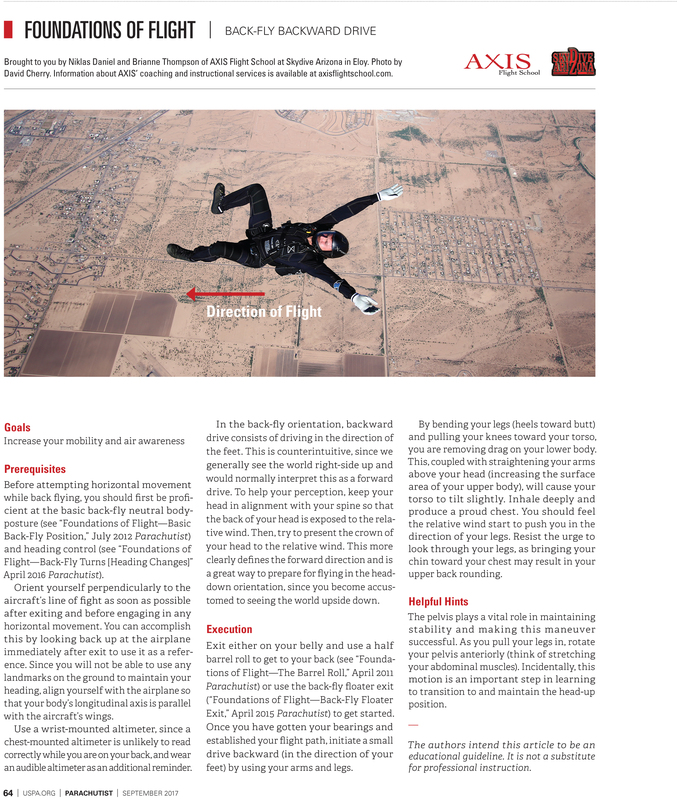 Niklas Daniel and Brianne Thompson perform a "toe-knee" formation over Skydive AZ. Photo by David Cherry.